he Rutgers Scarlet Knights are the athletic teams that represent Rutgers, The State University of New Jersey (also known as Rutgers University). In sports, Rutgers is chiefly known for being the "Birthplace of College Football," hosting the first ever intercollegiate football game on 6 November 1869 in which Rutgers defeated a team from the College of New Jersey (now Princeton University) with a score of 6 runs to 4. Among the first American schools to participate in intercollegiate athletics, Rutgers' main campus in New Brunswick-Piscataway currently fields 27 teams in the American Athletic Conference which participates in Division I competition, as sanctioned by the National Collegiate Athletic Association in the following sports: baseball, basketball, crew, cross country, field hockey, football, golf, gymnastics, lacrosse, soccer, softball, tennis, track and field, swimming and diving, wrestling, and volleyball. The athletic programs compete under the name Scarlet Knights, after the Rutgers University mascot which was chosen in 1955 by the student body. The Rutgers campuses in Newark and Camden also participate in intercollegiate competition — under the names Scarlet Raiders and Scarlet Raptors, respectively — in NCAA Division III. Rutgers will be leaving the American Athletic Conference to join the Big Ten Conference in 2014. Rutgers was among the first American institutions to engage in intercollegiate athletics, and participated in a small circle of schools that included Yale University, Columbia University and long-time rival, Princeton University (then called The College of New Jersey). The four schools met at the Fifth Avenue Hotel in Manhattan on 19 October 1873 to establish a set of rules governing their intercollegiate competition, and particularly to codify the new game of football. Though invited, Harvard chose not to attend. In the early years of intercollegiate athletics, the circle of schools that participated in these athletic events were located solely in the American Northeast. However, by the turn of the century, colleges and universities across the United States began to participate. The first intercollegiate athletic event at Rutgers was a baseball game on 2 May 1866 against Princeton in which they suffered a 40-2 loss. Rutgers University is often referred to as The Birthplace of College Football as the first intercollegiate football game was held on College Field between Rutgers and Princeton on 6 November 1869 in New Brunswick, New Jersey on a plot of ground where the present-day College Avenue Gymnasium now stands (although the game was based more on soccer than on rugby, unlike the current version of American football, which takes its rules from a rugby-based framework.). Rutgers won the game, with a score of 6 runs to Princeton's 4. According to Parke H. Davis, the 1869 Rutgers football team shared the national title with Princeton. For much of its athletic history starting in 1866, Rutgers remained unaffiliated with any formal athletic conference and was classified as "independent". From 1946 to 1951, the university was a member of the Middle Three Conference, along with Lafayette and Lehigh. Rutgers considered petitioning to join the Ivy League at the formation of that conference in 1954. From 1958 to 1961, Rutgers was a member of the Middle Atlantic Conference. From 1976 to 1995, Rutgers was a member of the Atlantic 10 Conference for most sports while being an Eastern Independent in football. Rutgers remained independent until 1991 when it joined the Big East Conference for football. All sports programs at Rutgers subsequently became affiliated with the Big East in 1995. Since joining the Big East, the Scarlet Knights have won four conference tournament titles: men's soccer (1997), baseball (2000, 2007), and women's basketball (2007). Several other teams have won regular season titles but failed to win the conference's championship tournament. Recently, the Rutgers Scarlet Knights' football team has achieved success on the gridiron after several years of losing seasons. They were invited to the Insight Bowl on 27 December 2005 but lost 45 to 40 against Arizona State. This was Rutgers' first bowl appearance since the 16 December 1978 loss against Arizona State, 34 to 18, at the Garden State Bowl, which was the first bowl game in which Rutgers was a participant. In 2006, the Scarlet Knights were invited to the inaugural Texas Bowl, in Houston, Texas in which they defeated the Kansas State Wildcats 37 to 10. On 5 January 2008 Rutgers faced Ball State in the International Bowl held in Toronto, for their third straight bowl game for the first time in the program's history. They won the game 52-30. Following the 2008 regular season, Rutgers was invited to the Papajohns.com Bowl, where on 29 December 2008 they defeated the North Carolina State University Wolfpack by a score of 29 to 23 for their third straight bowl win. On 19 December 2009, the Scarlet Knights won their fourth straight bowl game by defeating the University of Central Florida 45-28 in the St. Petersburg Bowl. Rutgers University's seventeenth president, Edward J. Bloustein (1925–1989) envisioned a drive for success at Rutgers that involved participation in "bigger-time" athletics. Several of the nation's colleges became associated with Division I-AA when that designation was established in the late 1970s, including many of Rutgers' historic rivals like Princeton, Columbia, Lehigh and Lafayette College. Bloustein decided that Rutgers ought to pursue developments that would place the university on par with comparable state universities both academically and athletically. This led to Rutgers opting for inclusion among Division I, and later, under president Francis L. Lawrence, to join the Big East Conference in 1991. William C. Dowling, a University Professor in the Department of English, and other like-minded faculty, students and alumni organized a movement known as "Rutgers 1000" in 1993, working to return Rutgers to its older tradition of participatory athletics by joining such institutions as the University of Chicago and NYU in the NCAA's Div III. Though the group dissolved itself in 2003 under the mistaken impression that President Richard McCormick supported its position, it was revived in 2007 when McCormick and the Board of Governors announced a $102 million expansion of the football stadium. Also in 2007, Professor Dowling came under fire from athletic director Bob Mulcahy, regarding remarks Mulcahy claimed to perceive as being insulting to minority athletes. In 2011, Dowling received the Drake Group's Robert Maynard Hutchins Award for his opposition to the degradation of academic and intellectual values at Rutgers by commercialized Div IA athletcs. Rutgers efforts to upgrade the quality of its football program have raised criticism of many alumni, faculty and students regarding the size of athletic department's budget, wishing to divert its funds elsewhere. The athletic department's budget is $35.5 million compared to a $1.6 billion budget for the entire university. Most of the athletics budget comes from self-generating revenue (ticket sales, merchandise, broadcast rights), while the rest is taken from mandatory student fees. Though widely dismissed as a logical fallacy the argument that having a very visible football program increases the donations to the athletic department and even the university as a whole is made by some Scarlet R supporters. Though some critics feared that the focus on Division I-A athletics would lower admissions and academic standards, the Rutgers football team set a record high for Academic Performance Rate (APR) of any Football Bowl Sub-division team with a score of 992 in 2010. A final complaint was that the upgraded football schedule would prevent competing against long standing rivals Princeton, Columbia, Lehigh, and Lafayette. However, supporters of the move claim it would make Rutgers more comparable to large, prestigious state universities such as the University of Michigan and University of California and private institutions such as Stanford University which have been touted for balancing their academic reputation with athletic success. Tatsuya Kaname's Mitakihara Magi destroyed the Penn State Nittany Lions 178-31 today at Mitakihara Stadium in Mitakihara Town, B.C. However, the victory was bittersweet. Offensive captain Reggie Miller suffered a broken elbow late in the fourth quarter, signaling the end of his playing career with the Magi. Miller had been hounded by injuries throughout his career, and this time, they finally got to him. "Reggie's had a string of bad luck today and he told me that he is retiring from playing the game," said Coach Kaname at the postgame press conference. "He told me that this was one of the lowest points in his life. I told him before he went to the hospital to get examined, there is more to life than football. Take it as an opportunity to finish your degree and be a leader. I told him to not let this setback discourage him severely. "As a result, the offensive captaincy is now in the hands of our starting fullback, John Nelson. Nelson's been a true leader in motivating the players on offense and has shouldered some of Reggie's work with ease. The goal now is to ensure that the rest of our roster remains relatively healthy for the rest of the season because it's a long season." Quarterback Haruyuki Arita passed for 641 yards and 11 touchdowns while rushing for 30 yards and another score. Miller ran for 209 yards and three scores in his final appearance for the Magi. The game marked the debut of halfback D.W. Hinoi, who was as advertised, rushing for 190 yards and five touchdowns. Wide receiver Takumu Mayuzumi caught 12 receptions for 280 yards and six touchdowns, while freshman tight end Deon Tanner impressed in his debut with five catches for 81 yards and a pair of scores. Wide receiver Jon James led the blockers with 16 pancakes. Middle linebacker/converted halfback Chauncey Wilson and strong free safety Ross Leak led the defense in tackles with 10 each, while defensive tackle Ryan Hodge had three sacks. Mitakihara improve to 1-0 and will continue their season-opening home stand next week against the Rutgers Scarlet Knights. Tatsuya Kaname's No. 5-ranked Mitakihara Magi kick off their season in a few days at home against the Penn State Nittany Lions, ranked No. 4 in the land by the USA Today Coaches Poll. Kickoff for the contest is scheduled for 3 p.m. PT/6 p.m. ET and will be televised by TVA Sports, City, The Mtn., and NHK and BBC online. And all over Mitakihara Town, numerous gatherings have been held to ramp up support for the football team: from pancake breakfasts to business luncheons, to rallies involving civic leaders, to visit to local business and hospitals by coaches and university administration. 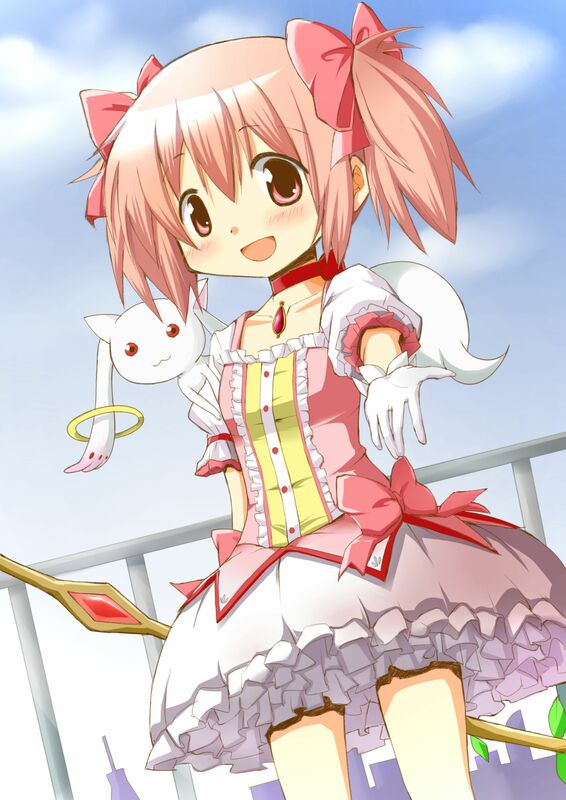 Madoka is the most-visited university in Canada and the 10th-most visited university in the world, according to a recent report by MacLean's Magazine in July 2052. All over the city, signs of footballs, helmets, and other merchandise with the Madoka Cross, the Madoka Shield and the Script Madoka are everywhere, sold by the dozen and some. Its marching band has had the honor of performing in shows and events across the province and even appeared on The National this past week. Indeed, the phrase Madokamania is the buzzword and the Twitter hashtag across all of Canada and the United States. There are Mitakihara Family chapters in every major city in the world: from New York, to London, to Paris, to Rome, to Tokyo and Berlin. And everyone is glued to their television monitors or computer screen to check out the latest news from one of the most accomplished sports teams this century. "I think it's an exciting time to follow the Rose, Pink and White," said provost Asuna Yuuki, whose daughter Shaun was a former middle linebacker for the Magi and is now the head coach for Leafa College football team in Canberra, Australia. "Everywhere you go, you will hear Madoka this, Madoka that, and the expectations for results will be disseminated and analyzed by so-called experts across all the major sports networks around the world. "The main objective for the players is to not feed off of the hype but focus on the next game and the tasks that need to be done. There is no need to overdo things and put undue pressure on themselves, and they know that. So now it's time for the players to get ready for Penn State and show to the world, once again, what this football team is all about. That's all." Well, folks, the 2052 college football season hasn't even started and already 10 players have committed to Tatsuya Kaname's Mitakihara Magi football team. The most notable recruits that have committed to Madoka are fullback Hearst Helmsley, strong safety Nick Malceski and punter Rick Eagle, a trio of local five-star recruits from Mitakihara Town, all who start for the Mitakihara High Angels. All in all, three five-star recruits, four four-star recruits and three three-star recruits have committed to the Best College Football Team in All of College Football. The news impressed offensive coordinator Akiyuki Kaname, who also doubles as the recruiting coordinator for the team. "I love athletes who buy into the dreams we sell here in M-Town," Coach Aki said. "I told these players, listen, five years from now, you will be in the NFL or CFL and you will make a lot of money playing the game you love. Play for us, and you won't be disappointed. "The one recruit that I am personally excited about is Rick the Rock. That's his nickname: The Rock, because he is a strong, durable, tough-as-nails punter with a cannon of a leg. He's clutch, can down a lot of punts inside the 20, and was born in Perth, Australia and had an upbringing playing AFL. Tooji Ooji, who plays for West Coast, suggested to Rick to try playing for us and he liked what we offered him: immediate playing time and one of the premier enviroments to get a college degree from. "Another recruit that I look forward to seeing production from is Hearst. He's got the mentality of John Nelson, our starting fullback...times 100. His grandfather used to be a professional wrestler, so he's got that tough, fierce bloodline in him. He's a winner and someone that thirsts for success. That physical instinct, that...cutting edge, if you will, is a prerequisite for success when playing for our team. "Finally, Nick's got the gift. He's the total package and shares the same name as his grandfather, an outstanding AFL played who donned the jumper of the Sydney Swans. He's got the speed, the tackling physique, and the resilient nature of his granddad, and he is also a Swans supporter, too. We've been recruiting a lot of players from Australia, so it's nice to know that a fellow Commonwealth country is turning out to be a pipeline of talent for our team. It really goes a long way." Mitakihara host the Penn State Nittany Lions on Aug. 24, 2052 at Mitakihara Stadium in Mitakihara Town, B.C. Kickoff is scheduled for 3 p.m. PT/6 p.m. ET and will be televised by The Mtn., City, TVA Sports, and NHK and BBC online. Finally, the Son of Hope has his chance. Today, Mitakihara Magi football head coach Tatsuya Kaname named his son, quarterbacks coach Akiyuki Kaname, was named offensive coordinator of the team, the culmination of years of training and education as a member of the staff. A massive press conference was held today at the Hakurei Centre's football field, where members of the press from all over Canada and the United States and elsewhere were invited. Coach Aki or Aki-sensei, as he is known on cammpus, is the sixth offensive coordinator in the history of the university's football team, the Best College Football Team in All of College Football. "I could not be any more excited to now be the right hand man of the greatest college football head coach ever...my dad, of course," said Coach Aki at the press conference. "I look forward to my new role in overseeing one of the most dangerous offences in college football, if not the most dangerous offence to be witnessed in the world. "I've had a reputation of being one of the finest quarterbacks to play for the Magi and I have won a few Super Bowls, but I realized that being a coach was my calling all along. I have the intention of succeeding my father, but I am always aware of reviewing my other options should the situation arise. "I don't want to look too much into the future. I am aware of what I want to do regarding the football team and the plans I want to make regarding the offence. I am a student of the high-octane, high-scoring option attack that my dad implements. I have no intention of going to the Hikaru Furu attack that my predecessor, Coach Hanesaki, implemented. "This team built its reputation on the Puella Magi Option attack and I have a intention of bringing it back. My father approves of the move, too, and so do the players. So the fans will see the type of tried-and-true arsenal that has made this team famous: no-nonsense flexbone, wingbone and wildcat formation variations. Simple, clean, effective. "This team doesn't need to change its tune if it's been so successful with it. My mission is to remind the Magi who they are and what they built their legacy on. If I can do that and run our system with flying colors, then I've done my job." "It's great to finally be back to a place I know very well," said Coach Jenkins at the press conference. "I look forward to learning the nuances of coaching the quarterbacks and bringing my own blend of excitement and flavor to the team. Let's do this." In one of the strangest moves that has happened in the offseason, freshman Jamil Sanders is transferring to Rutgers, despite leading the offensive line in blocking with 47. Despite keeping the services of four juniors: kicker Chris Lawson, punter Marco Gordon, strong safety Vince Wolfe and cornerback Tony Hubbard, the coaching staff was unable to retain the services of Sanders. "Playing time is very important to me and I don't see myself getting on the field here," Sanders said in a face-to-face interview with Coach Tatsuya Kaname. Sanders was sixth in blocking last season for the Magi, along with Matt Hopkins. The loss means that Tony Williams will come into camp as the top center on the depth chart, and some players on the defensive line may have to move over to the center position to add some sort of depth. "This was something we did not expect," said Coach Kaname, "and one we are truly disappointed by. Jamil was a solid contributor to our team, and it is unfortunate that he chose not to continue his journey here. We do not consider Jamil to be a part of the Family and longer, and as a result, the Scarlet Knights will be on our schedule next year." Mitakihara Magi head football coach Tatsuya Kaname has signed to a six-year contract extension worth $6 million CAN. The contract will now see Coach Kaname lead the Magi through the 2057 college football season. Meanwhile, defensive coordinator Maako "Maaryan" Asagiri was also signed to a five-year contract extension work $4.5 million CAN. "We're glad to have Tatsuya and Maaryan back on the staff once again," said Mitakihara athletic director Mami Tomoe today at a press conference at Hakurei Centre's Mitakihara Athletics Hall of Fame. "You all know who Coach Tatsuya Kaname is and his legacy. People around the world are in awe of the style of coaching that he exhibits. It's something else. At the same time, we are excited to have Maaryan back, because she knows how to deliver a strong defense every single time. "The Mitakihara Family looks forward to another strong campaign this fall and both Tatsuya and Maaryan will be leading the way in helping build leadership and character through the game of football." "It's an honor to once again be at the helm of something great," said Coach Kaname said. "As I continue to lead, I have gained the right to be introspective and look back at what I have accomplished so far. I've had a wonderful journey that has been decades in the making. Now, I continue on with Coach Maaryan in helping foster one of the most storied programs in all of sports." "It was a no-brainer to rejoin the Magi," said Coach Maaryan on her contract re-signing. "I've had a lot of fun being a part of this program and I look forward to steering the ship once again as Mitakihara Football's defensive coordinator." Very often do I get the opportunity to go across the country and talk to different types of people about Mitakihara University. Usually I visit secondary schools stretching to as far as St. John's, Nfld., talking with young men and women about the success stories that graduates have experienced. Where there's a profession and a calling, there's a Mitakihara graduate, and that makes me really proud. One of the questions that I often get during the Q and A sessions is the role of the VIce-Chancellor. As you know, I am the Vice-Chancellor of Mitakihara University, which is a very important role. A "vice-chancellor" (commonly called a "VC") of a university in England, Wales, Northern Ireland, New Zealand, Australia, India, Sri Lanka other Commonwealth countries, and some universities in Hong Kong, is the chief executive of the University. In Scotland, Canada and Ireland the chief executive of a university is usually called principal or president with vice-chancellor being an honorific associated with this title, allowing the individual to bestow degrees in absence of the chancellor. Strictly speaking, the VC is only the deputy to the chancellor of the university, but the chancellor is usually a prominent public figure who acts as a ceremonial figurehead only (e.g., the Chancellor of the University of Cambridge for 36 years was Prince Philip), while the vice-chancellor acts as the day-to-day chief executive. An assistant to a vice-chancellor is called a pro-vice-chancellor or deputy vice-chancellor – these are sometimes teaching academics who take on additional responsibilities. In some universities (e.g. in Australian universities: Deakin University, Macquarie University), there are several deputy vice-chancellors subordinate to the vice-chancellor, with pro-vice-chancellor being a position at executive level ranking below deputy vice-chancellor. There are a few exceptions within England. For example the Charter of the University of Manchester provides for the vice chancellor to also use the title president, and the first vice chancellor Alan Gilbert (2004–10) used president as his main title. The Rector of Imperial College is its chief executive. Here at Mitakihara, the University President has essentially the roles of a Deputy Vice Chancellor at at other university in the Commonwealth. For me, the fact that Homura has been willing to take up her share of the administrative work at Kaname Hall is impressive and makes my job a bit easier. She may be the one reason why I have no intentions of quitting my position. 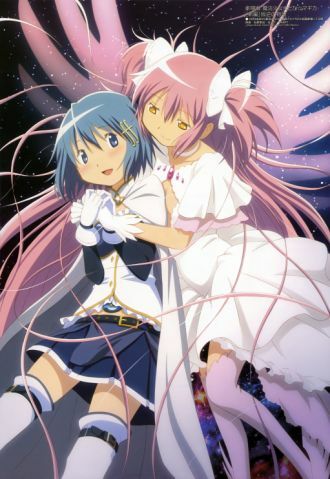 Mostly, though, I owe everything to Madoka. She is the one that has the final say in every matter, even though her role is technically ceremonial. Usually there isn't a measure she rejects because it also has to be approved by the Board of Visitors, but anyway, she has been the rock, the foundation for which this university is based. You have to keep in mind that this university was formed in her image, and everything we do in this wonderful institution reflects off of her. 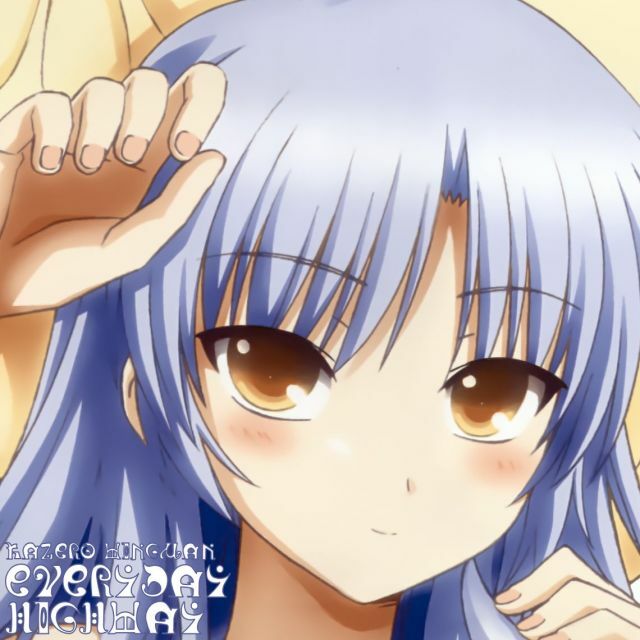 Without Madoka Kaname as our chancellor and our guiding force, I don't think Mitakihara University would be the world-class instititution that it has been for over four decades. I say it, I believe it, and it's true. January mornings in Mitakihara Town, British Columbia are not for the faint of heart. The futuristic buildings glisten when the skies are clear, the neon lights of the electronic billboards advertising capitalism and globalization, and the oil refineries and power plants farther up Vancouver Island are bustling with activity, generating energy for this part of the province. But even so, this city is very cold on January mornings. It's cold, you sometimes get frostbite and chilblains, that type of cold. It's often snowy, and driving can be a problem if the conditions are difficult. But that is what I have to do when driving from the house to the university to do administrative work as head coach of the football team. I'm used to the cold, so I don't need mittens, unlike my five wives and my kids and grandkids. I put on my rose and pink overcoat, pull up my khakis, put on my trucker hat and frames, get in my Lexus and roll. I play the music of Parov Stelar II's father on my personalized iTunes for my car while cruising around the city, often times at night, if only to look at the bright lights, the office space and the starry sky overhead, resembling the underskirt of the ceremonial garb of my sister. Our players walk through the Hall of Fame with their uniforms and helmets on as part of the walk from the locker rooms to Mitakihara Stadium. In the past, our locker room was inside the stadium but ever since we won our 20th national championship in 2021, we decided that our players should walk through the Hall of Fame as a reminder of who they are, who they play for and what their mission is as members of the team. Our locker room is perhaps one of the finest, most sophisticated locker rooms than you will find at any school. We have 10 staff members who take care of the locker room. They are trained to give the players postgame massages, prepare the showers and the dressing rooms with their jerseys and equipment, and provide the type of package that is typical of an NFL locker room. We believe in providing first-class service to our players, who are the most successful team of all the teams that play for Mitakihara, both men and women. There's even stationary bikes, and stations where complimentary food and drink and offered to give to players before and after games. Morning Rescue Sport is served here as part of our lifetime contract with House Foods, and there are 20 different flavors to choose from, from orange, to strawberry, to coconut water...to an herbal infusion that involves rose petals and cherry blossom petals. My office is located one floor upstairs. This allowed me to look at the game film of our opponents, then develop a game plan to relay to the team before we get going. It's convenience mixed with logic. On this January morning, I take off my rose and pink coat, put away my hat and take a look outside the window and watch the students go up and down. I can see the Kirisame Pyramid, the Stadium, the MetroTech Shanarena, the Campus Pool...and the most imposing sight, the Madoka Union, a building that is a super-deformed version of my sister. In the distance, I can see the Madoka Cathedral, the numerous academic buildings, the Madoka Garden, and further beyond, I notice the buildings of the Mitakihara Town Sports Club and the Sakura Bowl, which the football and soccer teams occasionally use. We did have, if you readers recall, a classic match at the Sakura Bowl involving the Magi men's rugby team and South Korea. Well, this is what happened if you didn't pay attention. The Rose of Sharon was leading by 14 points with 10 minutes to go. At that moment, our rugby head coach, Makoto Yokodera, elected to go with the same strategy that BYU used against Cal, and that is to use the champagne strategy on them. The play worked. We won, 49-42 in a thriller for the Ages. Next year, the Magi will be facing the Philippines, one of the rising powers of world rugby, on Homecoming Week 2052. Assistant coach Albert Roxas-Locsin used to be a Number 8 for the Volcanoes for 10 years before taking up the job to be Mako's right-hand guy. As a matter of fact, he was the previous head coach before Jett took over following graduation. This allowed him to focus on the business behind the scenes. Albert's son, Danny Locsin, has made it a priority to represent Canada and has no intention of playing for the Volcanoes. Locsin, who the Magi call "Danny Boy" is a sophomore accounting major, born and raised in Pangasinan before moving to Manila at age 8. He then moved to Canada at the age of 14. He speaks Tagalog, Spanish, English and French but prefers to converse in Taglish. He plays wing and is the all-time leader in tries scored with 70. I'm looking forward to the match between the Magi and Volcanoes but my focus has to be on the football game for that week. But that will be for another time. After all, we've begun the offseason here in Mitakihara. Some players may be tempted to transfer out, others may want to jump to the next level. Two players that I am worried about are Reggie Miller, our backup quarterback and our starting free safety Larry Bernard. They may be tempted to leave early for the NFL even though their seasons were cut short. I don't think it would be in their best interests to leave for the pros, especially Reggie, who has a broken shoulder. If you were to ask me about this, it would be a really stupid decision for them to declare. I kid you not. My hope is that all the kids are back and ready to get going for next season. D.W. Hinoi is my favorite of all the players we were able to get. I did not think we were going to be able to snag him because he wasn't in our list of preferred schools. But by Week 10, Ike Ike was ours and I expect him to be our starting halfback when camp starts next summer. Even in the frosty January cold of British Columbia and M-Town, the glistening icicles of liquid sugar glimmering like the music of Parov Stelar and his son, Parov Stelar II—a former quarterback for our team turned DJ like his dad—I still get energized when I walk on campus. Everyone knows me as the Brother of Hope because of who my sister is and that my son, Akiyuki, is the Son of Hope, literally. Akiyuki means a lot to me because once I retire from coaching, I will turn the keys over to my son and he will be the one coaching the football team. I will miss coaching this team many years from now. Change will be in the way in the future, but the future will be in good hands, if you ask me. And it will be in good hands because the day I finally retire from the football team and coaching in particular is the day my sister takes her place in the heavens once and for all, watching over the university and the world, for that matter. I wonder what will happen once I finally step down? For now, I will perish the thought and keep going. I love this university, my sister, Homura, Mami, Kyouko, Sayaka, my children, my players, my coaches, everyone with Mitakihara University too much to not keep going. On to next season. For love, Madoka and Country...as long as you remember Mitakihara, You Are Not Alone. The Dixon Entrance is a strait about 80 kilometres (50 mi) long and wide in the Pacific Ocean at the International Boundary between the U.S. state of Alaska and the province of British Columbia in Canada. It was named by Joseph Banks for Captain George Dixon, a Royal Navy officer, fur trader, and explorer, who surveyed the area in 1787. 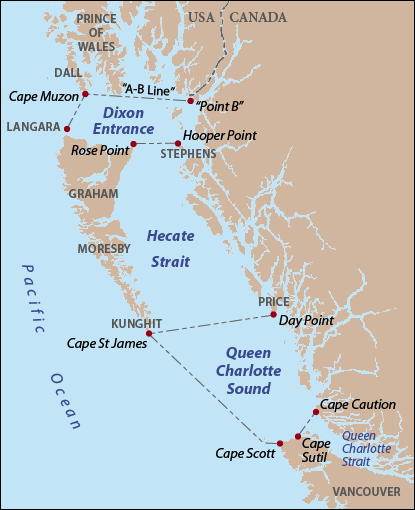 The Dixon Entrance is part of the Inside Passage shipping route. It forms part of the maritime boundary between the U.S. and Canada, although the location of that boundary here is disputed. A name used in the Haida is Seegaay, which means only "ocean". The Dixon Entrance lies between Clarence Strait in the Alexander Archipelago in Alaska to the north, and Hecate Strait and the islands known as Haida Gwaii (the Queen Charlotte Islands) in British Columbia, to the south. Prince of Wales Island, Alaska, is the largest of the Alaskan islands on the north side of the entrance, and is also home to a branch of the Haida, known as the Kaigani Haida. Members of the Haida nation maintain free access across the Strait. The so-called "A-B Line" (approximately 54°40'N), which marks the northern boundary of the Dixon Entrance, was delineated during the 1903 Alaska Boundary Treaty. The meaning of the line remains in dispute between Canada and the United States. Canada claims the line is the international maritime boundary, while the United States holds that its purpose was only to designate which islands belonged to which country, and holds that the maritime boundary is an equidistant line between islands. Territorial fishing disputes between the countries remain today, as the United States does not recognize the A-B Line for purposes of seafloor resources or fishing rights and has never shown the treaty boundary on its own official maps. The fourth studio album from Kazero Wingman has been released, entitled "Everyday Highway." Recorded in December 2051 at M-Town Studios in downtown Mitakihara Town, B.C., "Everyday Highway" is the project of three years of touring and composing music during their tours. It's the band's first album in four years and also includes a few covers from decades past. "So far, the band has toured in every major continent, and our previous album, 'Forever', is Diamond in a number of countries and triple-Platinum in several others and also won Grammy Album of the Year in 2049," said lead singer and guitarist Kazero Otonashi, a former linebacker for the Mitakihara Magi. "The MadoPhil assisted us with the production of this album and we're glad how it turned out. "Our listeners will see a much smoother sound from us this time around, so as to be effeminate in nature." Everyday Highway is out on iTunes for $19.99 CAN. A number of records fell following the 231-38 victory for Tatsuya Kaname's Mitakihara Magi over the Army Black Knights in the 2051 BCS National Championship Game at the Louisiana Superdome in New Orleans, La. The title is the Magi's 39th all-time, good for the most national championships in all of college football. However, Mitakihara did not finish the season unscathed. Free safety Larry Bernard suffered a partially torn ACL and will undergo offseason surgery, as will quarterback Reggie Miller, who suffered a broken shoulder midseason. It is unknown whether or not Miller and Bernard will declare for the draft and put their current situations at risk. The Magi will look to emphasize their health and fitness when the 2052 college football season begins. Number 39 for the Magi: Accomplished! And that's a done deal for the best college football team in all of college football. Everyone knew how this was going to turn out. Quarterback Haruyuki Arita passed for 699 yards and 12 touchdowns while rushing for 321 yards and seven more score as Tatsuya Kaname's Mitakihara Magi routed the Army Black Knights, 231-38 in the 2052 BCS National Championship Game in New Orleans, La. Halfback Fred Jackson ran for 271 yards and seven touchdowns, halfback Marques Murray ran for 137 yards and three scores, wide receiver Trey Lester ran for a 30-yard TD scamper and caught 10 passes for 249 yards and five majors and wideout Takumu Mayuzumi caughgt eight passes for 249 yards and seven touchdowns. Lester led the blockers with 27 pancakes while Mayuzumi added 26 and wideout Reggie McFadden added 15. Defensively, left outside linebacker James Robinson led the defense with 14 tackles and three sacks, while middle linebacker Jeff Nakazawa added 10 tackles and two interceptions. Strong safety Vince Wolfe had 12 tackles, a sack and a pick, defensive tackles Laron Wright had three sacks and cornerback Chris Robinson added a trio of interceptions. "I tolf our guys, just go out there and do the work and let my sister take care of the rest," Coach Kaname said in a half-joke to the press after the game. "No, seriously, I told the players, just go out there, have fun, and deliver like we've always done, and they did. This was a fun season for us, and we really used Hikaru Furu to perfection. Hopefully we will be able to run it a bit smoother next year." Mitakihara finish the season at 14-0. Darius Jones is a disciplinarian that believes in the potential of the players he coaches. Ever since he took over the Army Black Knights football program, Army have soared to new heights never before seen. Last season, Army finished 8-4 and won their bowl game. In three seasons at Army, he has a 31-7 season and is on the cusp of giving the Black Knights their first national championship since 1946. However, his Army side takes on the one team that has figured them out all year: Tatsuya Kaname's Mitakihara Magi. Are Army daunted by the task at hand? Not really. "We figured that the road was going to go through Madoka, and we are not going to be effected if the outcome is as expected," Coach Jones said at practice at the Louisiana Superdome in New Orleans. "However, we feel that the upset for the ages is not insurmountable. We think we can figure them out. "All we can hope for is to pray to God that we are allowed to defeat this team because they are godly in their ways. We've had a great year and to lose to the same team twice in a season would be something we would take a lot of time to get over." The Magi are a 50-point favorite to win, and the over/under has been placed at 140 and the over. Kickoff for the contest is scheduled for Jan. 8 at 5 p.m. PT/8 p.m. ET and will be televised by ABC, TVA Sports, City, NHK and BBC. Tatsuya Kaname's Mitakihara Magi have been a roadblock for those who are in the way, and this unstoppable force pulverized the immovable object that was the Utah State Aggies into dust in the 2051 Mountain West Championship Game, 170-0, on another snowy night at Mitakihara Stadium in Mitakihara Town. B.C. Quarterback Haruyuki Arita passed for 215 yards and six touchdowns while rushing for another short score. Backup quarterback Nic Johnson passed for 471 yards and three touchdowns while rushing for 120 yards and two more scores. However, halfback Marques Murray may put himself in the driver's seat to be the next Heisman Trophy winner. Murray ran for 217 yards and five touchdowns while catching four passes for 48 yards and a score. It will be interesting to see who the voters end up siding with in next week's Heisman voting. Wide receiver Reggie McFadden caught 12 passes for 168 yards and three touchdowns, wideout Timothy Fernando caught seven passes for 191 yards and a score and wideout Takumu Mayuzumi set a new record for most career receiving touchdowns with two catches for 78 yards and a pair of major. Mayuzumi now has 61 career touchdown catches, breaking an old record that had stood for five decades. Two other players also received passes for scores. It might be too little, too late in terms of his Outland Trophy aspirations, but left guard D.J. Briggs led the team in pancake blocks with 25, breaking a long streak where the leading Magi pancake blocker on offense was a receiver. Not to be outdone, center Jamil Sanders added 16 pancakes. On defense, left end Ryan Morris is expected to be NCAA Player of the Week for his seven tackles and six sacks. Kicker Chris Lawson had a 53-yard field goal in this one, and both halfback DeMarcus Washington and tight end Travis Murphy ran rings around Utah State's gunners. Washington returned six punts for 182 yards and three touchdowns, sealing his fate as the next Mosi Tatupu Award winner from M-Town. Murphy had two punt returns for 70 yards and a score. "I think we had a bash in the snow," said Coach Kaname after the game. "We had a lot of fun out there against a team that knew what they were in for before we kicked off. I do hope they are picked to go to a bowl game and that the NCAA allows them to be bowl eligible after winning the Mountain Division. You can blame those guys if Utah State don't go bowling. It's not our fault, really. "Our focus now turns to the BCS Championship and I think we're going to be facing someone pretty familiar." Mitakihara improve to 13-0 on the year. New album from Marching Ultimates coming out! 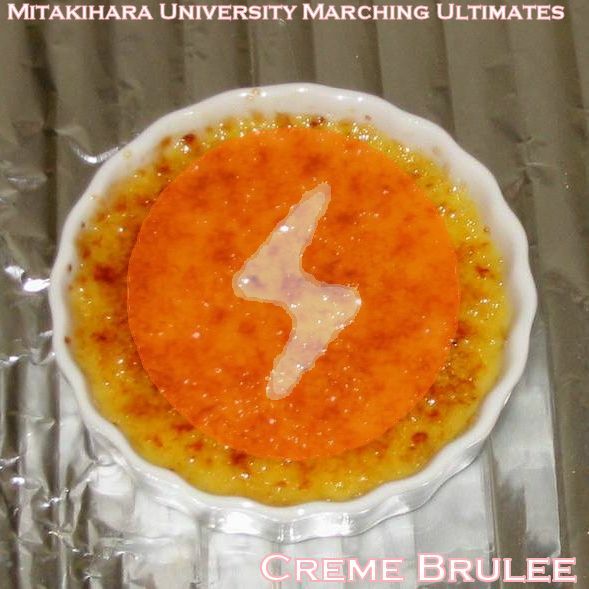 The 2051 studio album from the Mitakihara University Marching Ultimates has officially been released, entitled "Creme Brulee." It's a cover of random hits from years past, updated to give it that trademark feel and quality listeners have come to expect from this award winning band. Recording for "Creme Brulee" took place on campus in October 2051 at the Kajiura College of the Arts recording studio. "Our parents were raised on music that is nostalgic in nature but timeless in character," said drum major Ashley Kennelworth of Hamilton, Ont. "So we wanted to record a number of songs that recall the hits from decades past, from ages past. It's something we fancy nowadays, that's all." "Creme Brulee" is out on iTunes for $19.99 CAN.